NCLAT, which is also an appellate authority over the Competition Commission of India (CCI), has asked Wal-Mart International Holdings Inc to file its reply before it by September 20, 2018. 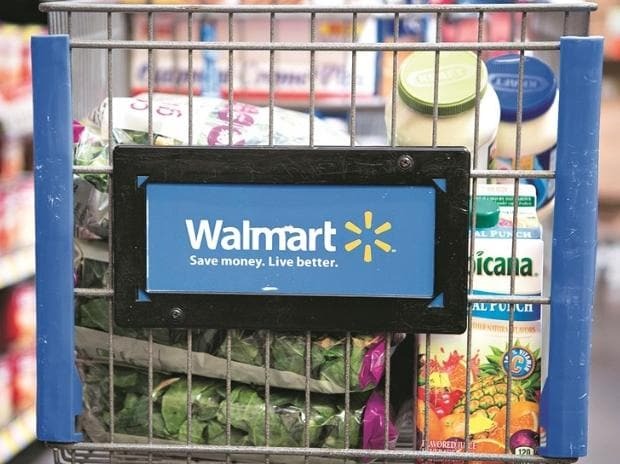 It has also asked trader's body CAIT, which has filed an appeal before NCLAT challenging the go ahead by fair trade regulator CCI on Walmart's $16 billion acquisition of home-grown Flipkart, to file its understanding over the Walmart's business model in India. "Before going into the merit of the appeal, we intend to know the manner in which Wal-Mart International Holdings, Inc. and Flipkart Private Ltd do their business in the relevant market in India," said an NCLAT bench headed by Chairman Justice S J Mukhopadhaya. The tribunal further said: "The appellant (CAIT) may file relevant list of dates and their understanding of sales by Respondent No 2 (Wal-Mart International) by way of an additional affidavit within a week thereof." NCLAT has directed to list the matter on October 5 'for admission' of Confederation of All India Traders (CAIT) petition opposing approval granted by the CCI on August 8 to the Walmart-Flipkart deal. Last month, while clearing Walmart's $16 billion acquisition of Flipkart, the CCI opined that complaints about the deal violating FDI rules "may merit policy intervention" but do not fall under its ambit. The CCI had said it is "not likely to have an appreciable adverse effect on competition in India and therefore, the same is hereby approved." It had observed that the complaint about Flipkart's discounting practice or preference to select e-tailers is not specific to this merger deal and is "already prevalent" in the market. Earlier, on August 18 Walmart had informed that it has completed deal with Flipkart and holds 77 per cent stake in the Indian e-commerce major. Besides, the Bentonville giant's investment includes $2 billion of new equity funding to help accelerate the growth of the Flipkart business. Walmart India, a wholly-owned subsidiary of Walmart Inc, owns and operates 21 Best Price Modern Wholesale stores in eight states in the country. Wal-Mart International Holdings, Inc is a subsidiary of Walmart Inc.